The polka band knows approximately five songs, running the gamut from "In Heaven There is No Beer" to a tuba-heavy version of Ozzy Osbourne's "Crazy Train." I have to shout over the beat and blat of the music. "How long have you been here?" Saber2th looks at his watch. "At least three 'Crazy Trains,'" he shouts back. There's a quirky protocol when it comes to buddies who are back on military leave. First off, you don't call them--they call you. They only have a few precious days here to spend, after all, and wives, kids, dogs, and home repairs are all higher on the food chain than Army buddies. If and when they call, however, you make sure to go. It's like a getting served a subpoena or notice of a "command performance," even if they don't outrank you. Call it a "drunken muster." A decidedly unshaven Saber2th is back from Afghanistan for two weeks, and has decided to hold court at the Central Iowa's only authentic German bier hall. "I made sure to have shaving cream for him when he got home," Saber2th-6 says, shaking her head. "What was I thinking?" I ask her how long he's been home, and how long it took for the novelty to wear off. She smiles a tolerant smile. I've seen that expression before, in my own home. She tells me later: "I would've wanted this leave to happen in March, when we'd have only a few months left," As it stands right now, however, they're only halfway through the deployment. The Saber2ths have two younger kids, the same ages as my own. Managing the kids solo has been a little rough, she says, but having her husband back has been a good reminder of how it's supposed to be. Every deployed family has a different strategy for taking mid-tour military leave. One soldier friend recently chose to meet up with his wife in New York City, then absconded with her to some tropical island somewhere. Another says he'll similarly meet up with his wife and kids at a neutral location, rather than traveling all the way home. That way, he hopes, the kids won't feel like he's ripping the emotional stitches off regarding his year-long absence. One stay-at-home (this time) soldier says his pre-teen kids say they don't want to see his wife at all during her deployment--only when she gets to come home to stay for good. Or, more realistically, until one of their parents has to deploy again. Someone hands me a beer in a tall but not entirely unmanly glass. I don't catch the description of what I'm about to drink. The beer names here are longer than Wagner's Ring Cycle, and I don't speak German, other than a little conversational Def Leppard. Setting my buddy up for a war story, I jokingly ask if the beer is called "schutzenschnur." "Hey, that's German for learning how to shoot some NATO weapons and not hurting yourself," says Saber2th. "They give you a badge for it and everything!" God love him and the U.S. Cavalry--he's not entirely joking. I'm introduced to some others present as "that guy with the blog." Later, I realize that I have perhaps missed my one opportunity in life to be addressed as "Meisterblogger Bloggermeister." Saber2th and I do get to talk a little shop, although spousal proximity prohibits too many details. That's another unwritten rule about mid-tour leave: Don't talk about Fight Club. At least, not with family present. Still, he reports our Red Bull cohorts are both doing well and doing good, although a few soldiers have tripped up on the details. "Counterinsurgency is pretty easy. Rule No. 1 of Counterinsurgency is 'Don't be a douche-bag,'" he says. "Rule No. 2: 'Don't drive 80 miles an hour throwing your piss bottles at people.' but it's been kind of surprising that we've got guys who can't even get those two things right." Our group ends up sharing a large booth with a bunch of brunettes--endo-, meso-, and ectomorphic Barbies--so the single guys in our posse swivel their turrets to start winning hearts and minds and telephone numbers. Instead of shots fired, or shots heard round the world, the night devolves into shots bought round the table. Meanwhile, a hipster wearing a bright orange T-shirt and a beige blazer somehow starts chatting up the Saber2ths. Turns out, their group is from the local metropolitan opera. "It's our first night off in 2-and-a-half weeks," the guy complains. Saber2th rolls his eyes instead of punching the guy. They don't get weekends off in Afghanistan. In just a week or two, he'll be right back at it, and so will his wife and kids here at home. Tonight, however, it's a few stolen moments of beers and buddies and brass instruments, of not getting too caught up in the details, and avoiding fisticuffs with opera singers and shield maidens. From Africa to Afghanistan, from Italy to Iraq, the roads traveled by the U.S. 34th Infantry "Red Bull" Division are many. Infinitely more interesting than dusty records and faded ribbons, however, are the individual stories that make up Red Bull history. You can help write that history. It's as easy as writing a letter to yourself, your wife or husband, or your kids. It's as easy as writing a church youth group, or a high-school English class. You don't have to be a war hero. You don't have to be the biggest, baddest mother-f'er in the 'Stan, and you don't have to be the home front supermom who keeps it all together--job, house, kids, family--while also keeping a constant eye downrange. You don't have to wait until you're long retired or returned, but you also shouldn't worry that you've already forgotten too much for your words and thoughts to be of value. All you have to do is write a letter. (And, if you don't like to write, consider making an audio recording, or at least sitting down with the grandkids and having a conversation.) Maybe it's a page or two, maybe it's 20. You don't even need to send it, or share it with anyone right away. Instead, put it in a safe place, along with your mortgage documents, or your wedding photos, or your collection of prized military souvenirs. Trust me: When you, your family, or your friends encounter this letter in later years, you'll be blown away by who you were, and what you did. Maybe then you'll even send the letter to a museum, or your now-grown-up kids. Start off by putting a date at the top of the page. You'll want to remember when and where you started this project. Then, move on to introduce yourself: Where you're from, what you do for a living, where you went to school, where you go to church. If you are or were a soldier, explain your military job in terms civilians might understand. Avoid using Army slang or acronyms without somehow defining them. How and why did you find yourself in military service? How long were in you uniform? 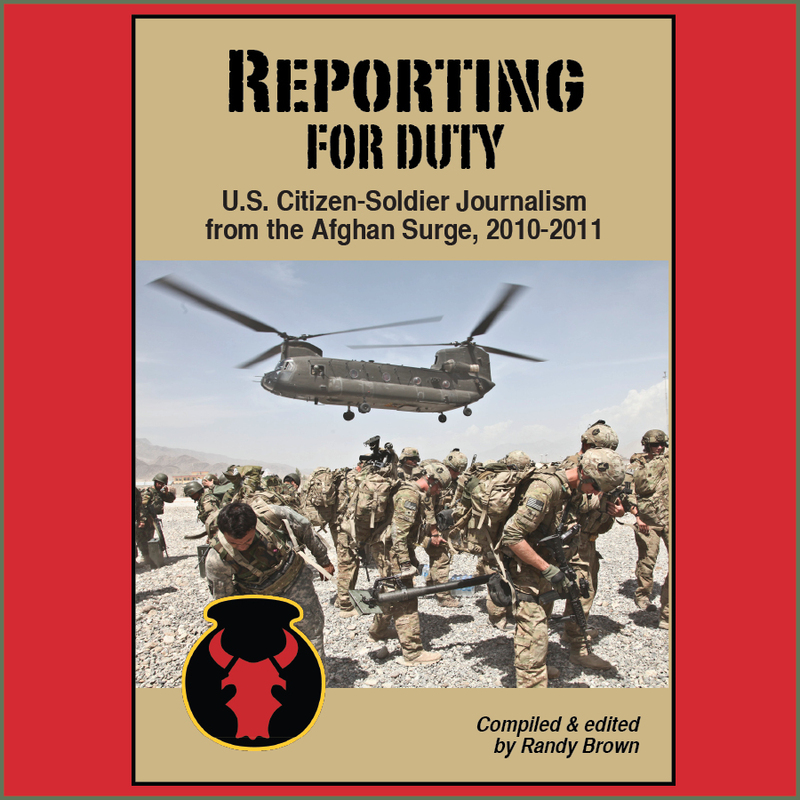 Describe what your unit's mission is or was, again in civilian-friendly terms. If you're a spouse or child or friend who experienced a soldier's deployment from the homefront, you can address similar questions: How did you find yourself connected to someone in military service? What were your thoughts and reactions to it before--during and after? What events, large and small--floods and family baptisms--occurred while your soldier was away? Don't set out to write the great American autobiography. You don't need to cover every detail. In fact, it might be easier--and potentially more educational or entertaining--to focus on specific stories. Everybody has "war stories." Even the those who never heard a shot in anger. What was your proudest day during your/your soldier's deployment? What was the funniest thing that happened during your/your soldier's deployment? 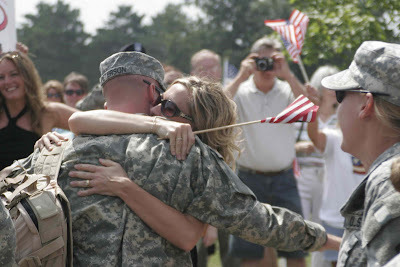 What was your happiest day during your/your soldier's deployment? What was your saddest day during your/your soldier's deployment? Here on the Red Bull Rising blog, I've recently created a channel through which Red Bull soldiers--past and present--might share their deployment stories. While most of my current effort focuses on the current deployment of the division's 2nd Brigade Combat Team (B.C.T.) 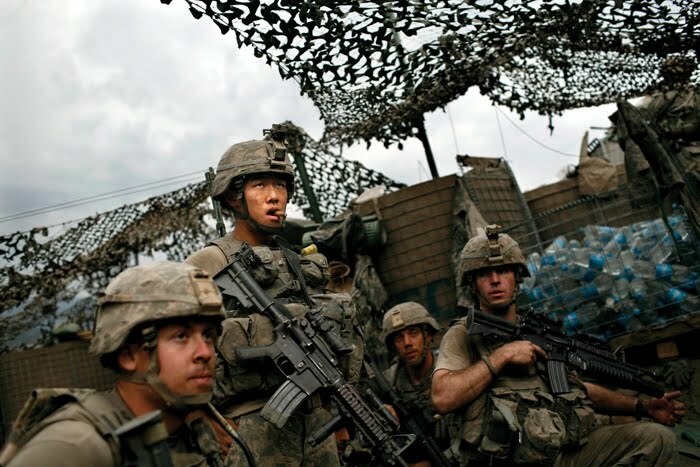 to Afghanistan, I am increasingly interested in stories from the the division's other units. Regardless of when, where, and how you served, I invite you to help tell the Red Bull story. "Polly's Dad was in the Army, and he got shooted," Lena says casually from the backseat. I've just picked the kids up from school. Household-6 is going out with a friend tonight, and I'm in charge of pick-up and dinner. It is a bitterly cold and windy day, the roads are still slick from a day-and-a-half of snowfall, and the last of the day's light hangs in the air like icicles. Lena's words are sometimes like that, too--just solid enough to grab and hold. Touch them wrong, however, and they'll shatter. I move the car forward, cautiously. First rule of working in the Tactical Operations Center ("TOC"): "The first report is always wrong. Except when it isn't." My family lives in a small suburb of what the local TV anchors like to call the Des Moines "metro." (By the way, it's locally pronounced "duh-MOY-en." The "s" is silent. So is the other one.) More than 550,000 people live in the 5-county area. There are more than 3,000 National Guard soldiers--most from the Midwest, and most from Iowa--currently deployed to Afghanistan with the 2nd Brigade Combat Team (B.C.T. ), 34th Infantry "Red Bull" Division. If they were all put together in the same place, they'd rival the size of some towns that still dot the agri-industrialized landscape of 21st century Iowa, enclaves of good people and simpler times. There is no active-duty Army post in the state of Iowa, however, and there is no single geographic concentration of units, families, and training areas that the Red Bull calls home. There is no commissary, or daycare, or post exchange (P.X.) to which everyone goes. There are no dry cleaners, tattoo parlors, package liquor and pay-day loan shops located just outside the main gate. The largest single military activity in the state is Camp Dodge, in the Des Moines suburb of Johnston. The state of Iowa is itself like a small town, however. If you don't know somebody, you might know somebody who does. Even if we don't all wear the same uniform, or live and work in the same places. So when my kindergartner starts casually talking about soldiers and shooting, I go into a parental form of tactical questioning: "Really, when did this happen? ... Why did she tell you that? ... Was she laughing or crying when she said that? ... What is Polly's last name?" A Red Bull soldier was recently injured by an Improvised Explosive Device (I.E.D.) in Laghman Province. I ask myself: Is there a connection? Earlier this week, a member of a Missouri National Guard's Agri-Business Development Team (A.D.T.) was killed by an IED in Nangahar Province. That's not the Iowa ADT, nor is it Red Bull territory, but is there a connection? Lena has recently been invited to a "military" themed birthday party at a local museum. The birthday boy chose the theme in honor of his Navy veteran dad, who last year committed suicide with a gun. I don't know whether his actions were service-related, and it really doesn't matter. I do know that, while picking up my kids in warmer times, I experienced this boy's little sister announcing to me, to her playground friends, to anyone she encountered: "My daddy shot himself. He's with Jesus now." Is there a connection? I'm not just spinning my mental wheels for kicks-and-giggles, of course. I'm attempting to figure out if my daughter is upset, or making unwanted or unnecessary associations. After all, I know she still thinks of Daddy as "being in the Army," we obviously have family friends currently in harm's way, and she seems to me overly attentive to TV pictures of tanks and soldiers on those rare occasions they infiltrate our family room. "Daddy, is that show about death?" Naturally, I also want to know if Polly and her family is somehow in distress. Of course, it could all be fairy tales and pixie dust. 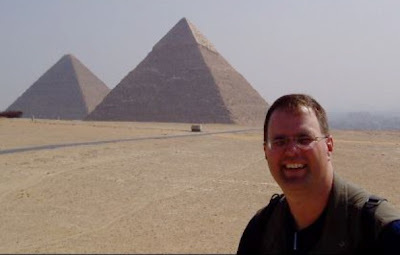 I remember the story-telling games of my own youth, with each kid one-upping each other until we were each descended from astronauts, famous inventors, and Presidents of the United States. And I remember the illogical results of any game of "telephone," in which a given narrative melts and mutates over the course of many re-tellings. It's fun at parties, but maddening to unravel as a parent. All this is on my mind as I drive down the road, maintaining speed and distance. If there is something to the story, I don't want to react or overreact. I don't want to telegraph my background concerns about the health and welfare of 3,000 of my fellow Midwesterners into spooking the kids. I don't want to drive into a ditch, and I don't want to break the icicle. Because the first report is always wrong. Except when it isn't. 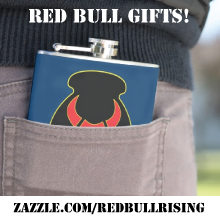 Regular visitors to the Red Bull Rising blog will note a couple of design changes, made partly in response to letters recently received by the Anti-Fine-Print Action Squad of the National Guard's Crackpot Bifocal Brigade, of which I am apparently soon to be a card-carrying member. We made it bigger. The main column is now wider. The typeface is now larger. We're experimenting with Trebuchet, a sans-serif font. All this is intended to make the blog more accessible and legible. Let us know what you think! We made some static pages. This was the new Blogger template feature we most desired. It allowed us to move the pseudo-legal mumbo-jumbo such as "contacts" and "copyrights" into a tool bar. In the future, this will also allow us to establish more formal connections to other projects and publications. Watch this space for details! We put it in black-and-white. Our professors in journalism school taught that the most easily read color contrast is black on light yellow. With the new design, we went with black-on-pure-white. In the vote on legibility--between the "new" combo and the "old" white-on-gray--we're pretty sure the ayes ("eyes?") will have it. In two lines, approximately 30 characters each (including spaces), describe as much as possible the purpose of Red Bull Rising. Bonus points for evoking concepts such as "family," "34th Infantry Division," "Afghanistan," "WWII history," etc. If you need to review the blog's mission statement for more ideas, click here. 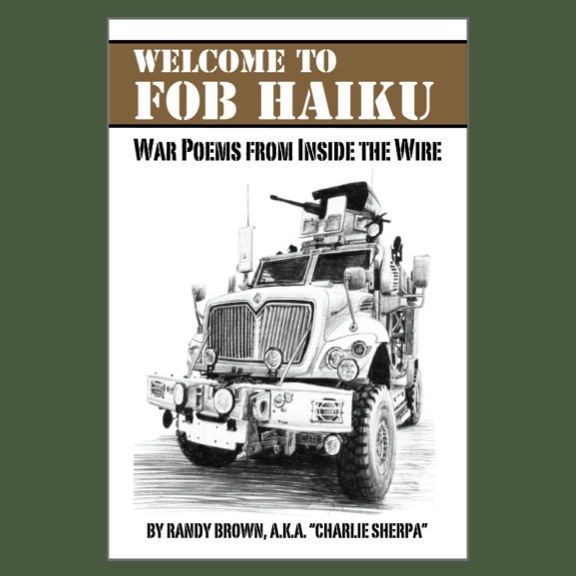 "On the tail of the 34th Infantry" / "at home and abroad"
"Home fronts and battle lines" / "Africa * Italy * Iraq * Afghanistan"
"From the Heartland of America" / "to the Global War on Terror"
It's not haiku, but it's close! Make your suggestions in the comments section below, or on our Facebook page! And thanks for reading Red Bull Rising!